The world is becoming more and more mobile. Customers don’t just search for products, services or businesses; they want to get these results at arm’s length. Users want Google to use their location every time they search for something, even if they don’t add location modifiers like “near me,” addresses, etc. According to Google, these searchers have grown by 150 percent. Keeping in mind this statistic, it makes sense for businesses to rely on hyperlocal marketing. Hyperlocal marketing is a new marketing approach that focuses on a smaller number of shoppers in a very specific area. In other words, it specifically targets people in highly localized and address-specific regions that want to purchase products or services locally. Hyperlocal marketing is a super targeted form of niche marketing. Businesses don’t need to spend money on national campaigns to generate inbound traffic. Hyperlocal marketing can be focused on one block and build the foundation for an authentic one-to-one relationship with customers in a specific area. It seems less overwhelming but in reality a really tough goal to achieve. The main goal of hyperlocal marketing is to increase foot traffic to retail stores and rely on near-me searches that have high commercial intent. When people do hyperlocal searches, they search with the intent to purchase. For example, if you want to find a new bestselling book, you will probably type “bookstores near me that have this book.” By doing that, you want this book and know where to buy it now. You know that 78% of local mobile searches result in offline purchases. This is huge! Taking into consideration these numbers and statistics, online and offline businesses are in a strong position to take advantage of hyperlocal marketing. Here are seven powerful ways to use a hyperlocal marketing strategy to grow your business. For small business owners that have physical locations, it is essential to optimize their Google My Business pages. Google My Business is the backbone of hyperlocal marketing. Did you know that 33% of all searches on Google are related to location? You should focus on that and provide highly detailed information about your business. A unique business description that contains 750 characters to explain what differentiates your small business from competitors. You can add relevant keywords, and do it within the first 100 words. Avoid keyword stuffing. Add as many as possible high-quality photos. Your business address should be concise and consistent with the address on your website. List your phone numbers. Make sure to provide a local phone number to show in local search results. Set your operating hours and working days. Pick up the primary category that describes your business’s services, products, and goals. That will help you increase visibility for search terms related to your category. Have a lot of good reviews. Many people that search for your business check reviews and an average rating. A large number of quality reviews will result in higher rankings and sales. Represent your business name in a proper way. That will help users easily find you online. Many companies are making a mistake when using the legal business name on Google My Business. This may harm your sales and rankings. Small businesses that are interested in leveraging the local community want to participate in discourse communities in order to foster strong relationships and generate revenue. Developing local content can increase rankings and arouse people’s interest in a particular local area. First of all, you need to focus on what customers want to consume, but not what you want to create. You can create different types of content, such as blog posts, videos, images, infographics, or academic articles. The perfect way to engage and entertain customers is to create online quizzes. You can use Survey Anyplace to make engaging quizzes quickly. Analyze your content and produce the type of content that will resonate with your customers the most. Sometimes it can be difficult to reach an audience in a specified local area. You can try to hire local talents because they better know the interests and needs of a local area you are interested in. You can also capitalize on specific events, landmarks, festivals or other points of interest on a hyperlocal level that might interest people when looking for in particular geographical area. 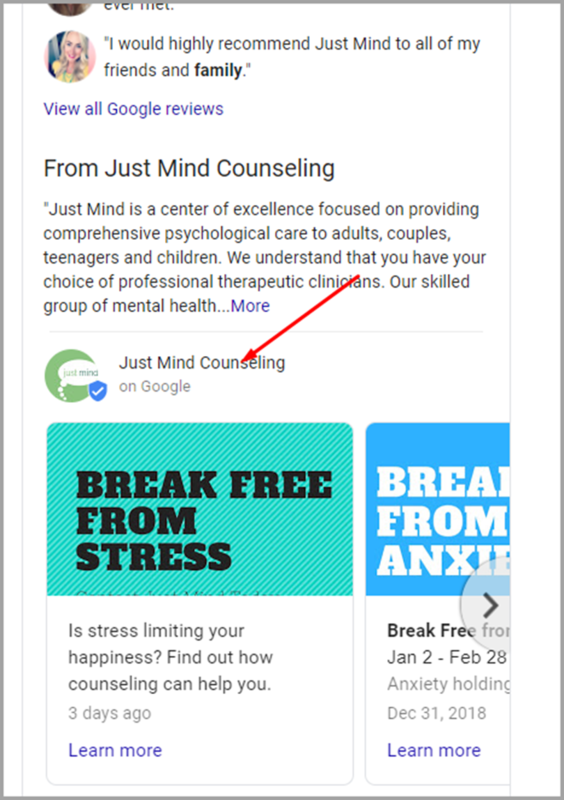 Ensure to share your local content on your Google My Business pages, Linkedin, Facebook, and other social networks. Adding any contact information on your website makes it easier for a potential customer to contact you. It also makes your brand more open, contactable and tangible – which, in turn, can lead to more sales and conversions, and produce more customer satisfaction. Ensure to include localized items like monuments, local landmarks, famous attractions, public streets and other local points of interest that allow people to easily reach you online and connect with your business. For example, in New York people might search for “cafes near the Empire State Building.” Including location-based keywords will make your business more visible to those looking around a particular area. When focusing on hyperlocal marketing, it is essential to categorize your business as local. 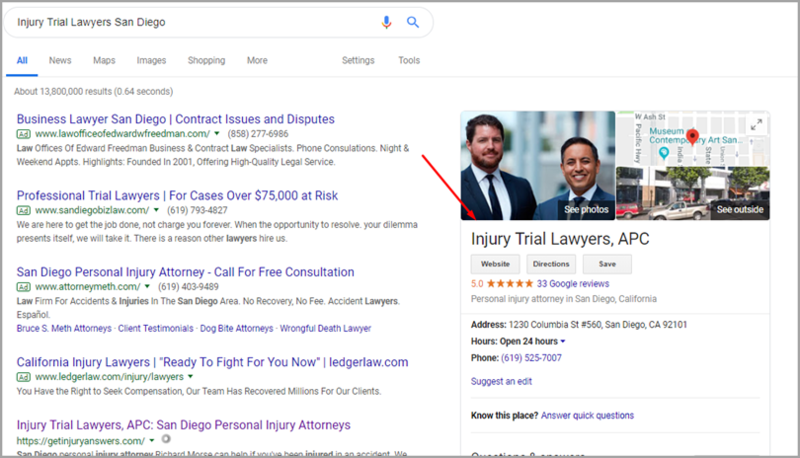 Including structured data markup related to your business on your website pages will help Google find out as much information as possible about your business. List different business attributes, such as address, business hours, phone number, social links, site logo, and an official name. If implemented properly, it makes it easier for your business to appear in relevant geographic search results. Make sure to incorporate the appropriate markup for each location to help people find your business easier. 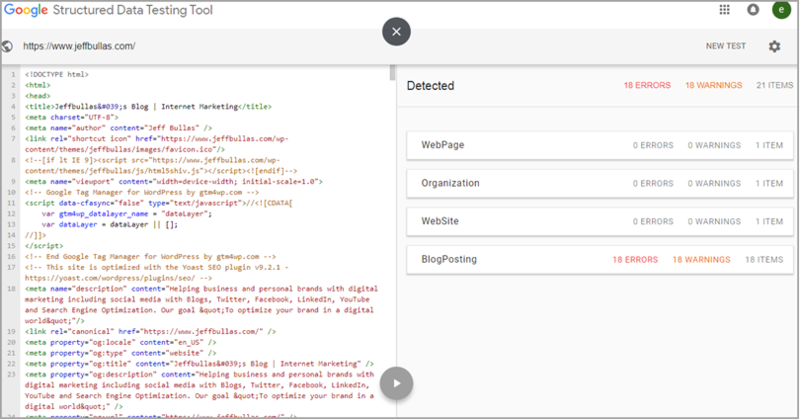 To improve your search results with schema markup, use the Structured Data Testing tool. The tool helps detect possible issues and reduce the number of errors and warnings in your Structured Data tags. While creating a website, each local business has two main goals: get found easily online by searching for their services or products, and convert website visitors into customers. It’s not enough to optimize your site for SEO. Local businesses must look beyond traditional ranking factors and keywords. Your website needs to look professional on all levels. Everything needs to be high-quality. Do you know that it takes less than one second for users to define whether they like your site or not? Ensure that your site is easy to navigate. Don’t use a lot of navigation buttons. Lead people down a path to solve their problems and convince them to purchase your services. If you want to improve your local ranking, you need to improve your demand generation strategy. It is important to analyze and optimize your on-page demand generation in order of importance. 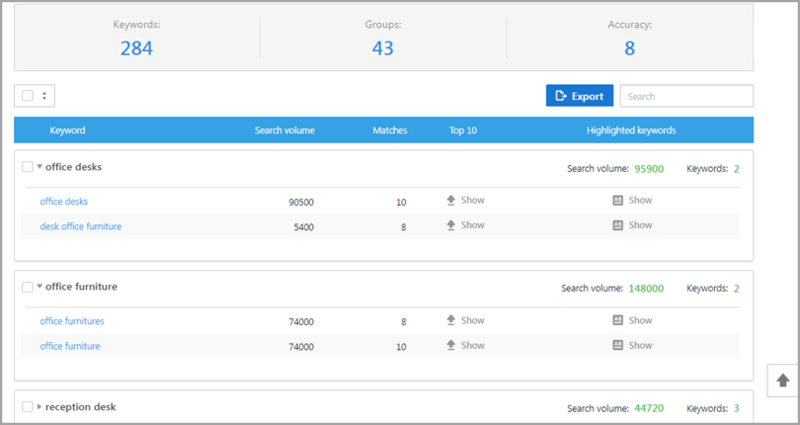 If you manage different pages that broadly resolve the same topic, group your keywords together to estimate the search volume for specific topics. The SE Ranking Keyword Grouper provides a nice solution for proper clustering. They need to be persuasive enough to make people click on them. Having the proper linking structure in your posts helps Google better understand what you are associated with locally and helps you rank better organically. Each web page should link to other pages on your website. 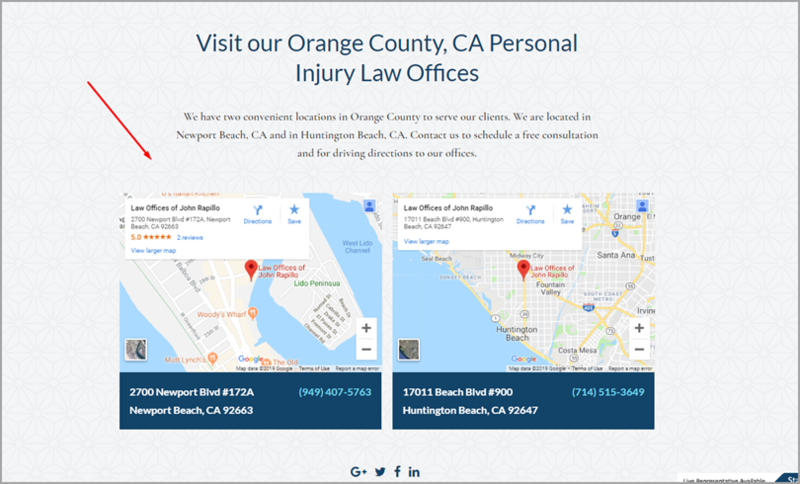 If you have a navigation link titled “Practice Areas” with a drop-down menu with a list of practice areas like “rideshare accidents,” “bicycle accidents” and “truck accidents,” each of these pages should lead to the main “Practice Areas” page. Location-based keywords are anything that describes your location. You can use city names, famous streets, historical buildings, monuments, and other well-known attractions. Include these keywords in product descriptions, company profiles, headlines and text of your web pages. If you manage different locations, it is important for local businesses to have specific landing pages for hyperlocal purposes. It will help boost your appearance in search and increase local rankings. Make sure to develop personalized content for each location. Include location-based keywords within your content and optimize your landing pages for these search terms. Without local landing pages, you can’t improve your business’ local rankings. In case you run your business from 100 multiple locations, you don’t need to design 100 separate landing pages. Try to pick up those regions you wish to target in the first place. 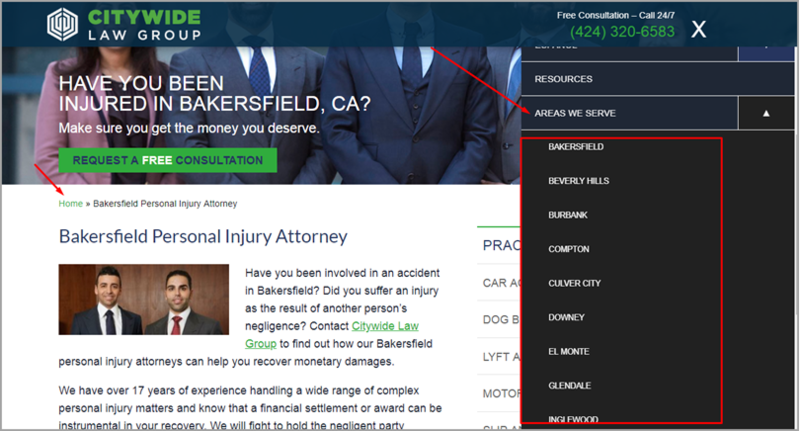 For example, Citywide Law Group made the section “Areas We Serve” with a drop-down menu of each location they serve where these landing pages lead to their homepage. Target customers near your location. Just specify a distance from your location and use your existing customer data to launch your ad campaigns. Target individual travel shoppers. Target them wherever they are online, especially tourist-heavy destinations, such as airports, railway stations, attractions, hotels, and other places. Take advantage of specific geographic events. If there’s any specific conference or event in a city where your business is located, you can use that to target customers in that area. 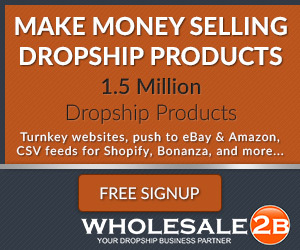 That kind of event can drive up demand for specific products or services and increase sales. Target customers around a competitor’s location. This is a great way to show shoppers the benefits of shopping with you and make them buy in your store. When getting started with your hyperlocal strategy, it is important to know how well you are doing on a local level. This means monitoring user behavior on your website and analyzing traffic quality from multiple sources, such as Facebook Ads, Google Ads, Instagram Stories, etc. Finteza holds true for that. The tool provides insight into your local search experience, traffic sources that result in desired conversions, and show how well your local landing page is converting based on completed goals. The more detailed and accurate information you will get, the more effective your hyperlocal strategy will be. Focusing on a particular area can be challenging but is greatly productive when everything is done properly. Hyperlocal marketing is a way to take your business to the next level and get new potential clients. Implementing the strategies listed above will make your business a staple in the local community. Which hyperlocal strategies have helped grow your business? Let me know in the comments below.